The SNYDER Speed stopper has an angled flattened surface, designed for the speed or derby skater that wants to Fast start on a run! 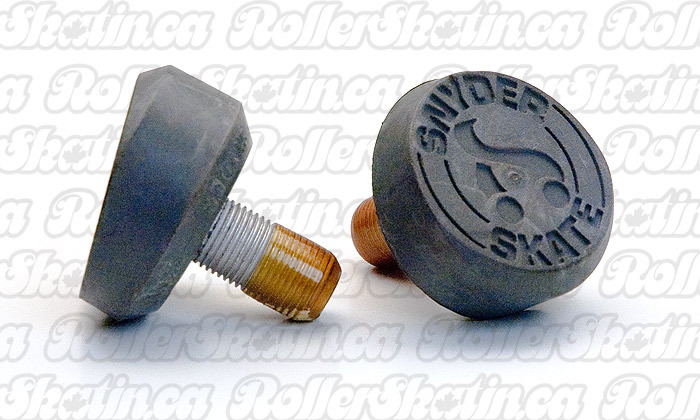 SNYDER 5/8" Speed Roller Skate Stoppers! The SNYDER Speed stopper has an angled flattened surface, designed for the speed or derby skater that wants to Fast start on a run! Durable materials and construction from one of the Best, oldest and reliable names in Roller Skating – Quality Made Iin U.S.A. ! The thread is a standard 5/8" (1" long) post to fit any plate that accepts the Imperial thread – fits most plates in current use, except for Roll-Line which uses metric threads. Comes as a pair of 2 stoppers.